Junior League of Charlotte member Martha Bedell Alexander was honored with the Mary Harriman Community Leadership Award. As a League and community volunteer and a lifelong advocate, she has made significant contributions to the improvement of the health, economic, and social welfare of women, children, and families. 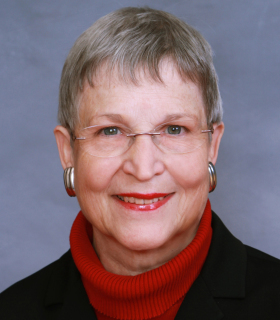 As a member of the North Carolina House of Representatives, Alexander has advocated for issues as far ranging as child day care standards and racial justice, to the creation of a Patients' Bill of Rights and the issue of chemical dependency and mental health. She has a long and distinguished history of service with, among others, the National Council on Alcoholism and Drug Dependence, the Salvation Army Adult Rehabilitation Center, and the World Service Council of the National YWCA. Diagnosed with breast cancer in 1995, Alexander persevered through her personal illness and emerged as a mentor for others with breast cancer and a spokesperson sharing experiences and offering support to other survivors as well as the families of those lost to cancer. Throughout her life, her example of direct service and political activism has encouraged others to embrace the tradition of community service. As one individual in her community offered, " she is a local hero who has had national impact."